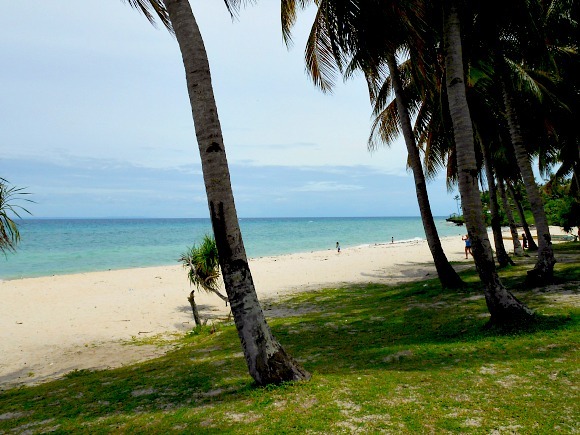 "Rest in a secluded beach resort..."
Bakhaw beach is one of the quietest and tranquil secluded beaches on Camotes Islands. It has a long stretch of white sand beach that divides the turquoise water from the island lush with vegetation and coconut trees. Borromeo Beach is located in Bakhaw, Esperanza in Camotes Islands. It is popularly known as the great of escape from the “hustle and bustle of the city”. I have witnessed that nice place with very refreshing environment, breeze, and great clear water. Surrounding this resort is the fantastic flora and fauna that welcome visitors to this island who seek peace and harmony with nature. Being situated within the secluded beach of Bakhaw, Borromeo resort boats its long private stretch of white sand beach. Borromeo is the only establishment available in this secluded place of the island. It is also a great place for families, friends, and group vacation, and honeymoon too! If you want to stay and enjoy this particular place in Camotes, Borromeo beach resort offers its facilities for your comfortable rest on the island. Borromeo Beach Resort offers comfortable and very relaxing atmosphere in this part of the island. It offers individual rooms for rent. Or, you can rent a WHOLE house equipped with a kitchen, dining room, living room, among other necessities. Green Room, White Room, Yellow Room, and Blue Room. Each room has its tag price ratings for you to choose from. (Since this site is not affiliated with Borromeo, you can visit its site and see the rates of your choice, as indicated below this page). This type of room is a ‘resthouse’ room, which can accommodate a maximum of 10 persons. Of course, if you have tag-alongs they have to pay an extra charge. It is also a ‘resthouse’ type of room that can accommodate up to 15 persons. The more the merrier, I guess! Yes, bring your gang to enjoy or have your group activity, such as company or class-related development activities. In addition to Borromeo resort, you can also search more fantastic choices below. Just click any available link among the list. Yes, that's all this page can offer you. If ever you decide to visit Camotes... have an islandful of fun!